York Minster is a living church with a thriving community made up of people of all ages. For many, York Minster is their regular place of worship, as part of one or more of our Sunday and weekday congregations. There are lots of ways to get involved with the Minster Community, from simply attending services to joining one of our committees. Download our weekly Notice Sheet for the latest community updates from the cathedral. One of the easiest ways to get to know people is to join us for coffee after the 10am Sunday service. This is also a good way to find out about upcoming Minster Community events, which are organised by the Social Group. Refreshment and Reflection is a discussion group which meets on alternate Tuesdays from 7.30pm-9pm in the Yorkshire Terrier Pub on Stonegate. Members of all ages meet to discuss Gospel passages, as well as contemporary issues affecting Christians today. The group is currently delving into the Old Testament, but the discussion is wide-ranging and entertaining. Contact randr@yorkminster.org for further details. The Minster Community Walking Group is an active group of all ages who walk every first Saturday of the month and welcomes new members. For more information and details of the next walk, visit the York Minster Walkers’ website or contact Tony Skeels at walkers@yorkminster.org. Regular Pilgrimages and Quiet Days are organised throughout the year and overseen by the Canon Chancellor, The Revd Canon Dr Chris Collingwood. Email chancellor@yorkminster.org for further details. Discussion and study groups are also organised on an ad hoc basis, for example during Lent. Details will always be included in the weekly Notice Sheet. 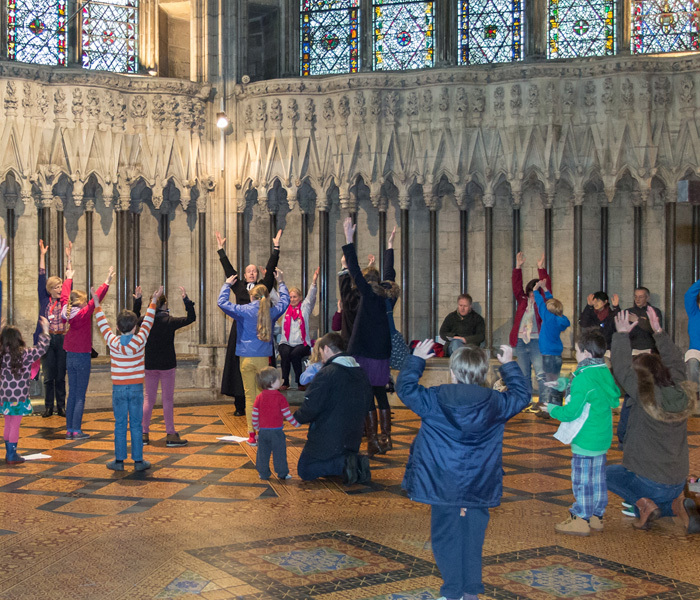 York Minster offers a variety of opportunities for children and young people to learn and grow and to engage with the stories, seasons and symbols of the Christian faith in age-appropriate ways. For more information about any of the groups below, contact cypm@yorkminster.org. 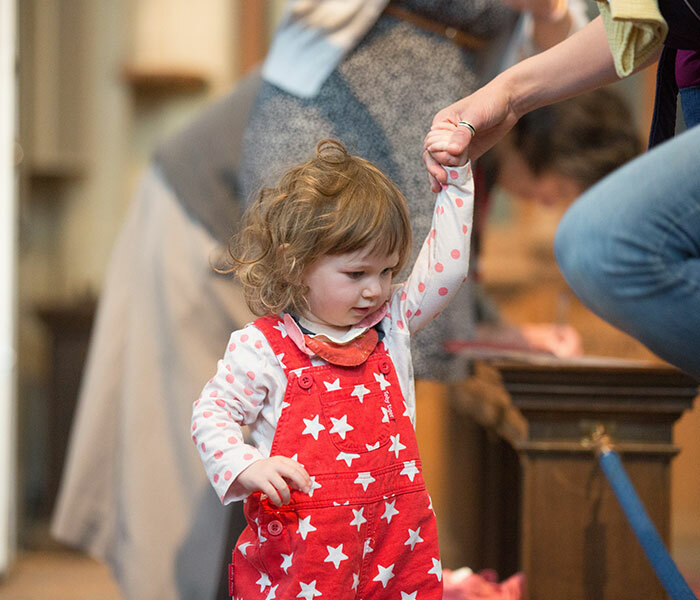 Under-5s – Young children meet in the Consistory Court, accompanied by their parents and/or carers. Sessions include opportunities for art, singing and play and for exploring some of the stories and themes of the Christian faith. 5-11s – This group meets in the Zouche Chapel and usually explores the gospel reading for the day using lectionary based resources and Godly Play. We also offer opportunities for children and their families and carers to participate in worship together and to mark some of the significant occasions of the year, including harvest and Good Friday. To join either of these groups, please follow the cross to the South Quire Aisle during the second hymn. Minster Mice is a fun, fortnightly service aimed at pre-school aged children and their parents/carers. We meet on alternate Wednesdays in term time at the high altar for songs, stories, crafts and refreshments from 10am-11.30am. Children and young people can also share in the work and worship of the Minster through serving, reading and singing in regular worship. If you are interested in exploring Baptism, Communion before Confirmation or Confirmation for your child, you can find further details here. You can also find full details of York Minster’s Safeguarding policy here. The Cathedral Community Roll is open to everyone over the age of 16 who either worships, volunteers or works at the Minster. Every three years, everyone on the roll is invited to nominate and elect four representatives to the Cathedral Council and eight members to the Minster Community Committee. The regular worshippers on the roll also nominate and elect three representatives to the York Deanery Synod. To join, write to the Chapter Clerk at Church House, 10-14 Ogleforth, York, YO1 7JN to request an application form or email chapterclerk@yorkminster.org. Everyone who is on the Community Roll is able to opt in to The Pastoral Network which puts people in touch with a Pastoral Link contact to help build a network of friendship and support across the whole community. The aim is to ensure that, in such a large and busy church, everyone who would like one has a point of contact who will look out for them and keep in touch from time to time. The Committee of the Minster Community is elected by members of the Cathedral Community Roll and seeks to encourage the life and mission of the Minster. There are a number of sub-groups where members of the Community Committee are joined by other members of the community to contribute to various areas of church life. The LESS Group (Lifestyle, Environment, Sustainability and Stewardship) aims to strengthen the sustainability of the Minster and its life by reducing the impact it has on the environment. 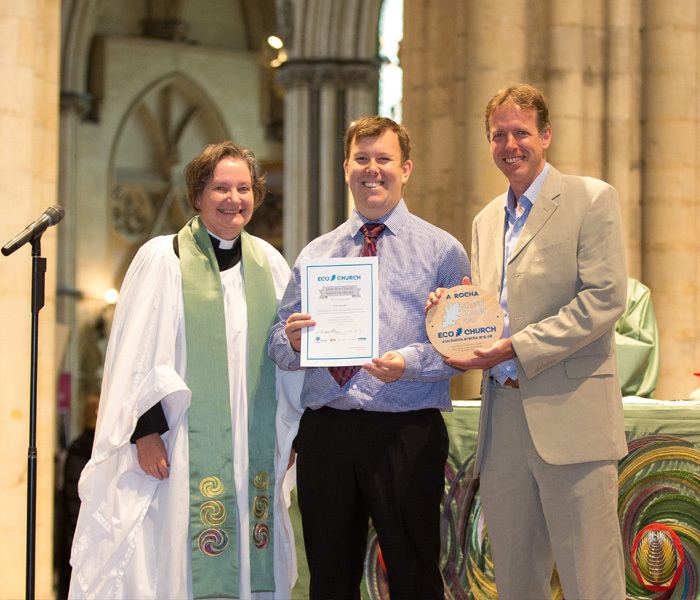 Formed two years ago, the group has helped achieve an Eco Church Silver Award for the Minster and worked with the Toilet Twinning charity to twin the cathedral’s toilets with toilets in the third world, supporting communities which otherwise would not have these facilities. For more information, contact less@yorkminster.org. The Social Action Group was set up three years ago to develop and organise events and activities that promote, encourage and challenge the whole of the Minster’s Community and congregations to engage in effective social action in whatever way they can. We are currently actively supporting three charities Home Start, Embrace the Middle East and York Neighbours by raising money, promoting their work and providing opportunities for them to worship with us in the Minster. For more information, contact socialaction@yorkminster.org. The Social Group exists to organise and run a programme of affordable events to foster a sense of community within the congregation, staff and volunteers. Events include talks, visits, musical evenings and a Harvest Supper and Barn Dance. Tickets are sold from the community table after the 10am Sunday Eucharist service or by emailing communitysocial@yorkminster.org.